Iranian Defense Minister Hossein Dehghan confirmed Tehran had tested a new missile, Tasnim news reported Wednesday. On Sunday, media reports suggested that Iran conducted a medium-range ballistic missile test near Semnan, in 225 kilometers (140 miles) from Tehran. “Defense Minister confirms Iran ‘s new missile test,” Tasnim news service said on its Twitter account. He added that the missile test did not violate the nuclear agreement between Tehran and P5+1 group of world powers or the UN Security Council resolution.On Tuesday, EU foreign policy chief’s spokeswoman Nabila Massrali said that the European Union was concerned about the latest ballistic missile test conducted and urged Tehran to abstain from further actions that could negatively affect the mutual trust. The Iranian military has successfully carried out launches of two short-range ballistic missiles during ground forces exercises, local media reported Sunday. 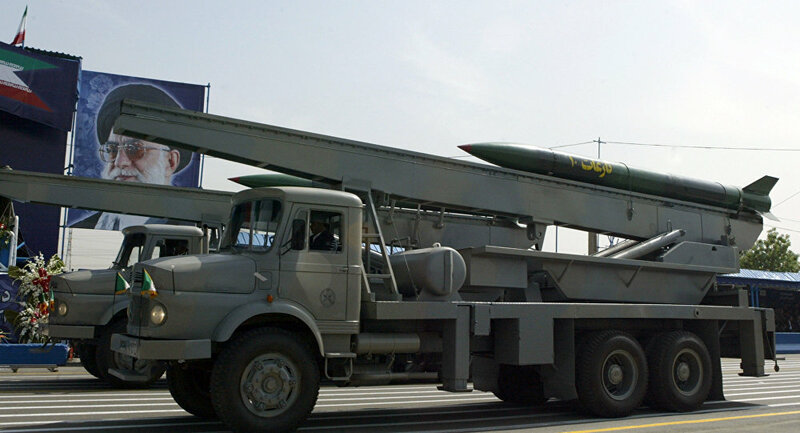 MOSCOW (Sputnik) — According to the IRNA news agency, the improved versions of Nazeat and Fajr-5 missiles were used during the first stage of the two-day drills in Kashan’s Maranjab Desert and Isfahan’s Nasrabad region. “The Beit-ol-Moqaddas-28 military drills aimed at enhancing defensive capabilities, training techniques in asymmetric war and test-firing improved weapons of the Iranian Army,” Commander of the Ground Force of the Iranian Army Brig. Gen. Ahmad Reza Pourdastan said, as quoted by the media outlet. Iran’s target of boosting its national defense program has sparked concerns among the international community, despite reassurances from Tehran that it would never threaten the national security of another state.On July 14, Iran and the P5+1 group of countries comprising Russia, the United States, China, France and the United Kingdom plus Germany, signed the Joint Comprehensive Plan of Action (JCPOA), which guarantees the peaceful nature of Iran’s nuclear program in exchange for sanctions relief.